• Tertiary degree (S1) in Psychology, Human Resources Management, Industrial Engineering, or other related disciplines. 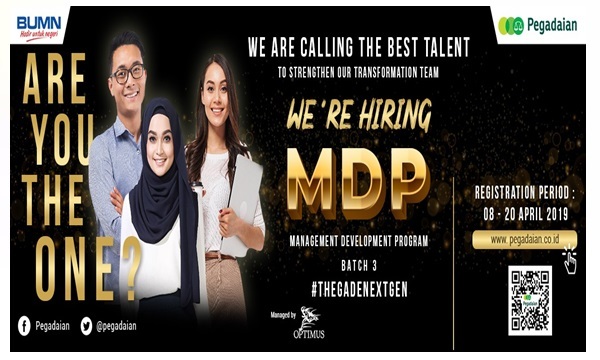 • Minimum 2 (two) years relevant experience in human resources development, ideally with at least 1 (one) year in competency assessment, competency modeling, assessment tools development, and competency system. • Knowledge of up-to-date human resources and competency management issues. • Analytical thinking, problem-solving and time management competencies. • Interpersonal and communication skills in Bahasa Indonesia and English. • Presentation and facilitation skills. • Strong commitment to KPC vision, mission, values, and HSE standards. • Bachelor degree (S1) Mechanical with 3 years’ experience in wide variety of mechanical projects including mining industry and Power Plant.